As it’s National Beverage Day I thought you’d like to know how to make the perfect cup of tea! Who better to ask than Fortnum and Mason? Tea advice from the experts. Here’s all you need to know about the ‘right’ way to make tea. No ceremony necessary. First of all, we have assumed one is using leaf tea. You really and truly should. Secondly, not all leaves require the same approach. Green leaves may prefer a longer brewing time: Darjeeling performs shabbily with milk. But let’s describe the classic process of making a traditional “black” tea as found in most of Fortnum’s (and the world’s) most popular blends. Here is a simple digest of what works. Fill the kettle with fresh water from the tap. Yes, your grandmother was right: water that has been boiled already will affect the taste of the tea. As it approaches the boil, warm the teapot by rinsing it out with hot water. Treat the teapot to one rounded teaspoon (yes, or caddy spoon) of tea leaves for each person and one extra spoonful ‘for the pot’. That’s the orthodox rule, though many these days find it a little strong. You’re in charge here. Just before the kettle water boils, pour into the pot. It doesn’t need to be stirred. Leave to infuse for three to five minutes, depending on taste. Serve, using a tea strainer. If making tea in a cup with a tea infuser, the same rule applies – one spoon of tea, use water just off the boil and infuse for 3-5 minutes. To find out more including whether to put the milk in first or last read the rest of the article via The Perfect Cup of Tea – Fortnum & Mason. 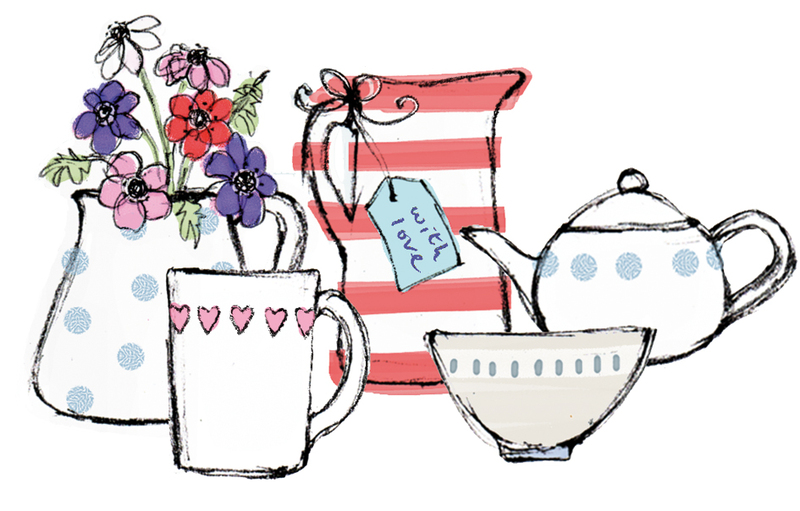 So now we have that sorted – would you like to receive free products by hosting a Coffee and Cards or raise money for children’s hospices across the UK by holding a Butterfly Tea Party in June? Previous post: Is it possible to earn money as a full time mother without the kids suffering?